This book is an adventure, an investigation and a manhunt. It divulges the real reason for the Deepwater Horizon tragedy and leads the reader toward identifying the people responsible for causing it. It is the story of an oil-rig supervisor on a five-day assignment being scapegoated by his employer, BP, as part of a corrupt deal the company made with the U.S. Department of Justice. It was a deal that allowed BP to return to business as usual after the worst oil-spill disaster in the nation's history, and gave the accountable executives free passes. 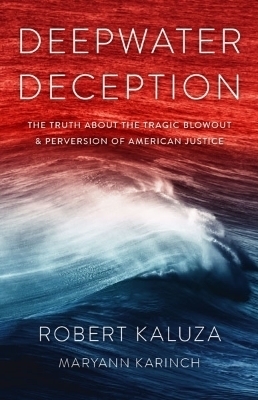 The narrative moves from the offshore rig to the courtroom, taking the reader on the life-altering journey of Bob Kaluza, an innocent man who was swiftly acquitted, yet still carries the scars of being accused of causing the deaths of eleven men and the environmental catastrophe in the Gulf of Mexico.